I believe it's 5120MB which is a very generous storage. I have loads of music and photos on mine, and haven't even used a quarter of it. You are also allowed 25 sites - and that storage applies to each one - an incredible amount, I am sure you'll agree. I agree - 5GB is a lot of storage. To add to what BritSAL said, you can see how much you used of your 5GB (5120MB) at the bottom of your file manager. Yep, if you are using a Yola Silver account, you have 125GB storage for your account, and 5GB of storage per site. 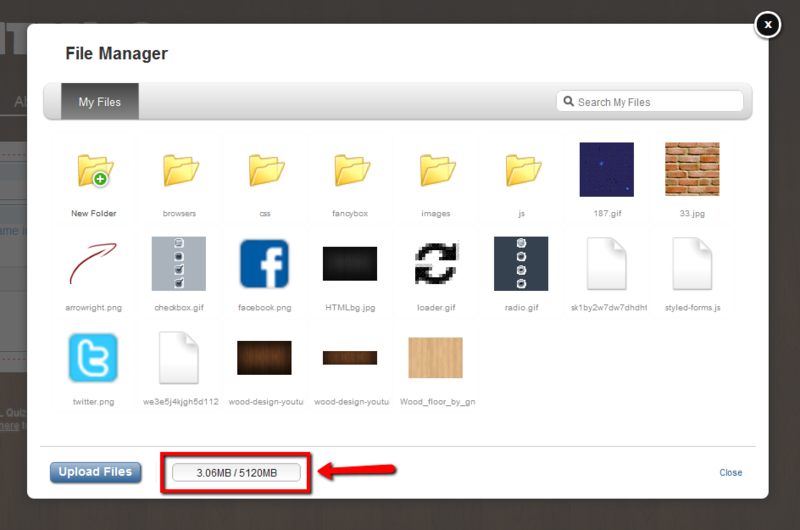 You can upload individual files of up to 100MB each.